STATUS QUO: After a concerted and protracted effort by conservationists to keep Pirate’s Cove in its natural state, the California Coastal Commission rejected county plans to alter the area on July 11. From the outset, the message from those who love and frequent Pirate’s Cove was simple: Keep it the same. The secluded stretch of coastline between Avila Beach and Shell Beach is known for its spectacular views, unspoiled nature, and clothing-optional culture. 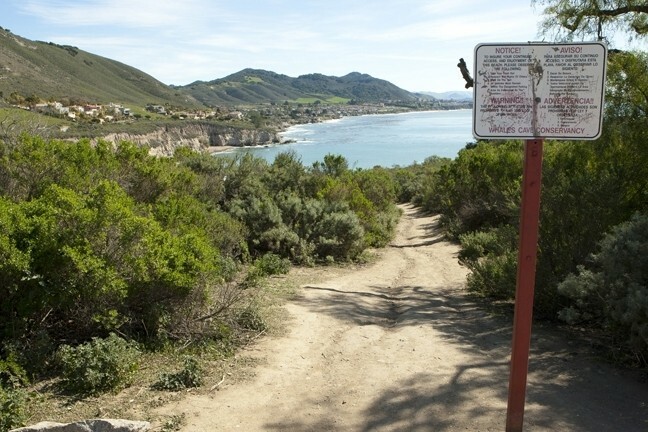 After San Luis Obispo County assumed ownership of the Pirate’s Cove land in February 2013, local beachgoers began to worry that the county would seek to alter and/or sanitize the area. After a year and a half of revisions, appeals, and contentious hearings regarding county plans to change the area, the California Coastal Commission sided with what supporters of Pirate’s Cove had been saying all along: The area didn’t need fixing in the first place. 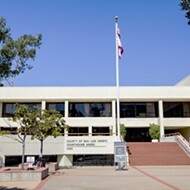 During the commission’s July 11 meeting in Ventura, commissioners unanimously denied all but one of the county’s plans for Pirate’s Cove—which included closing off the site at night, paving the dirt parking lot, installing picnic tables and restrooms, and revamping beach access routes. “Some things are best left alone,” explained Sheila Blake, a Pismo Beach resident who advocated for the status quo in Pirate’s Cove at the hearing. Though it’s not a priority, the county will proceed with one aspect of its plan that was widely supported by commissioners and advocates alike: updating and renovating an 1,800-foot long stretch of a pedestrian/bike trail that connects Avila Beach Drive to Bluff Drive in Pismo Beach, north of the cove. 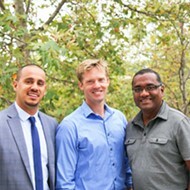 The SLO County Parks Department—represented at the July 11 meeting by Deputy Director Curtis Black—had advocated for the Pirate’s Cove improvement plans as measures that would improve the accessibility and safety of the area. “Pirate’s Cove is a fragile and complicated area,” Black said at the commission hearing, suggesting that adding a more formal, paved parking area, safer trails down to the beach, and instituting a nighttime curfew would make the area more accessible and friendly to the general public. Black and SLO Sheriff’s Deputy Stuart MacDonald also spoke about criminal activity that they said proliferates at Pirate’s Cove: public intoxication, drug use, indecent exposure, and prostitution. Black said closing Pirate’s Cove at night would diminish the area’s reputation for illicit activity and make it more family friendly. 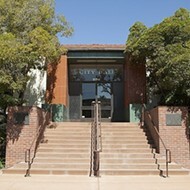 Prior to the hearing, the SLO County Planning Commission approved the parks department’s plans on July 25, 2013, and the Board of Supervisors followed suit on Nov. 5 after Brian LoConte and Sean Shealy, two local advocates, appealed the plans. LoConte and Shealy—who was representing a citizen group called Friends of Pirate’s Cove—appealed the plans again to the Coastal Commission, and both men spoke on July 11 about the dangers of changing Pirate’s Cove. “I ask that you do not allow this [area] to be asphalted,” LoConte said. 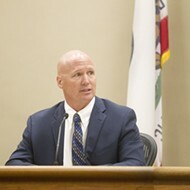 Local Coastal Commissioner Erik Howell—also a member of the Pismo Beach City Council—kicked off commission discussion of the Pirate’s Cove matter by saying he had “serious reservations” about the county’s plans. “If there’s any development on this site, we want to make sure we get it right,” Howell said. He then made a motion to deny all parts of the project except for the trail renovation, and the commission unanimously backed him. 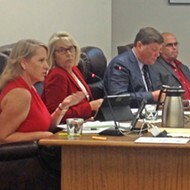 Commission Vice-Chair Jana Zimmer said that—in order to preserve the cove’s natural resources—she felt the commission had to deny the county’s plans. 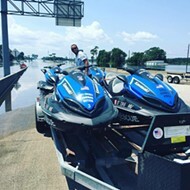 “We don’t take away coastal access to help law enforcement out; that’s punishing law-abiding citizens who have the right to access the coast,” Commissioner Mary Shallenberger added. Reached for comment after the final verdict, Shealy told New Times that he was thrilled with the commission’s decision and happy to know that Pirate’s Cove would retain what makes it special. Development was a recurring theme of the discussion, as Shallenberger and Shealy both mentioned that the idea to sanitize and alter Pirate’s Cove seemed to harmonize with Chevron’s stated plans to develop a resort on their nearby Avila Point property (formerly the Avila Tank Farm). “It does feel like it’s the first step of a larger development,” Shallenberger said. “Development has always been the county’s goal, not public access,” Shealy added. SLO County District 3 Supervisor Adam Hill, whose district includes Pirate’s Cove, said that the county won’t be appealing the commission’s decision or filing any lawsuits—both of which would take time and money that could be better used elsewhere.